I have this thing for blush as long as I can remember! My first few blush purchases decades ago were from a local brand calleds called Fashion 21 and Aido. At present, I still look up to those 2 brands as I grew up with them and used them long before I get to earn my own money to buy Maybelline, L'Oreal etc... Don't get me wrong, at present, I still like both brands in terms of blush and I wouldn't mind using them! It's just that, they do not have a lot of shades to choose from and, me and my sister have hit the pan on most of their shades! Who reads Jenn's blog called www.frmheadtotoe.com? I do! 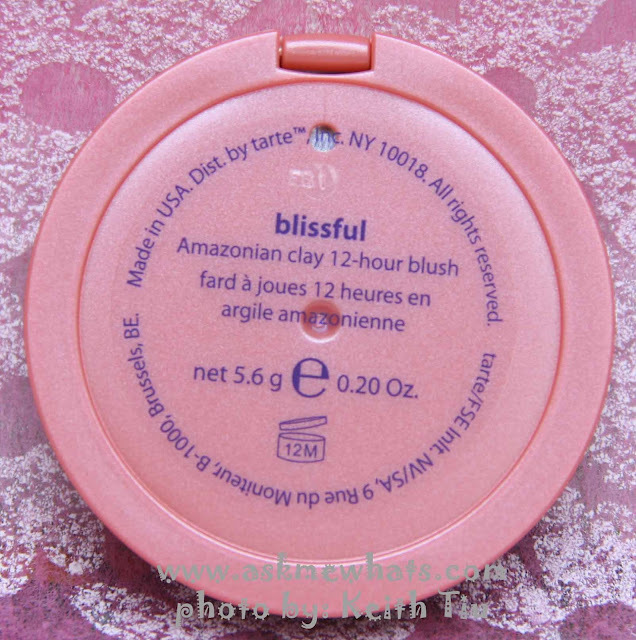 If you're a loyal reader of her blog, you'll probably associate her to her favorite Tarte Amazonian 12-hour Blush! The name of the blush itself intrigued me! For someone with dry skin, I can't seem to find a powdered blush that lasts me more than 8 hours! 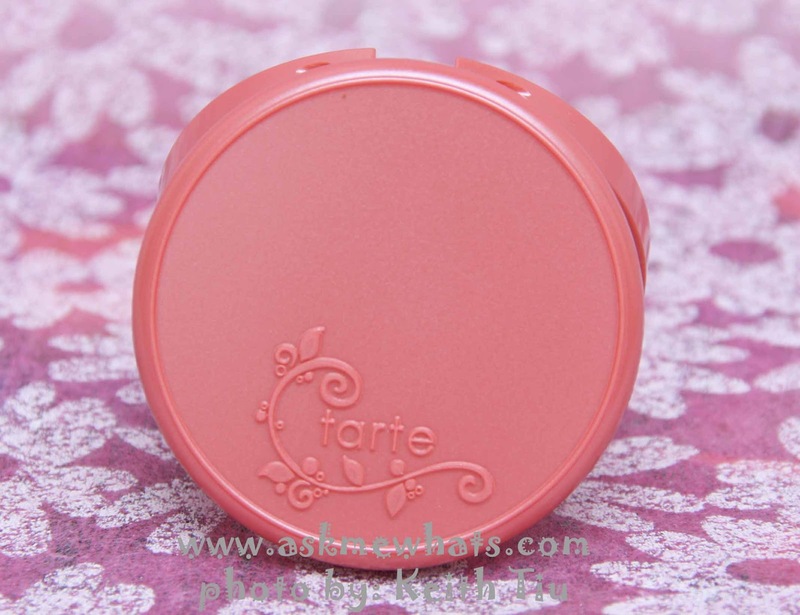 Is Tarte Amazonian 12-hour Blush a hit or miss? Nicely packaged. Mirror that comes with the packaging is very useful! Nice pattern that puts a smile on my face every time I use this. Gentle on skin. This product doesn't have paraben, mineral oil, phthalates and other harmful ingredients that may cause breakouts. Perfect matte that doesn't dry out skin. The surprising fact even though this is a matte blush, it gives an overall sheen or glow. As a makeup artist, I appreciate the fact that this can be depotted so I can put this in a palette. At first glance, the price! Not widely available in the local market. The name Blissful sounds like a perfect shade for "Bridal Makeup" and guess what? It is! 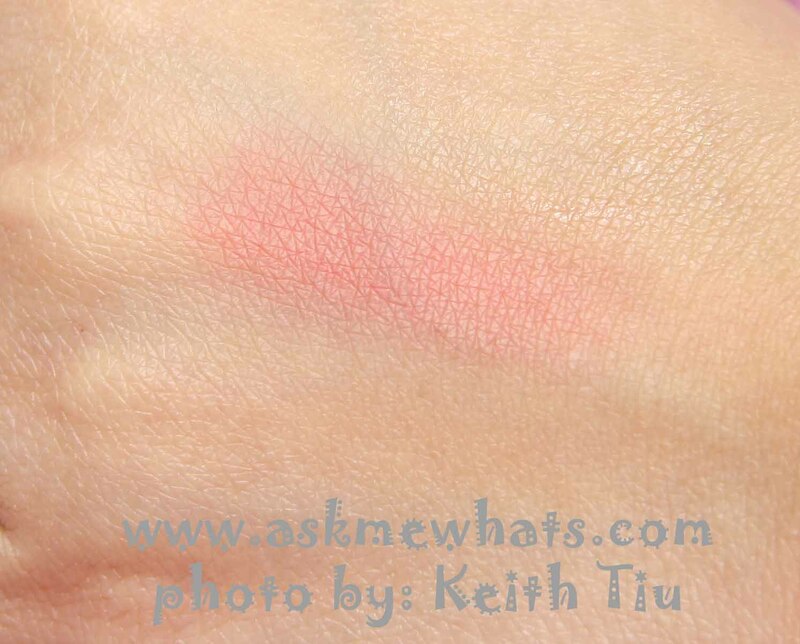 Blissful is a nice coral, peachy-pink matte blush that lasts until you remove it! This is the type of blush that works on most skin tone as it gives a peachy and pink vibe at the same time. Even with matte finish, the blush surprisingly gives a nice sheen over your cheeks thus creating a "happy" vibe. For light to light medium skin tone, apply using light hand with a big fluffy brush or fan brush. For medium to dark skin tone, apply using a smaller powder brush and add more for the color to show up. If you want this blush to stay longer, feel free to use a similar shade of cream blush underneath for the blush to stay even longer. Always start by smiling and applying the blush a third away from the each sides of the nose then blend upwards toward hairline. If you applied too much, don't fret! Use a clean powder brush or kabuki brush and blend the brush blurring out heavy pigmentation. Afraid to apply blush on top of acne? Correct and conceal the spots well, set with setting powder then gently apply the blush using big, fluffy brush with super light-hand. If some of the concealer were gone after blush application thus showing your "spots", feel free to spot conceal it then gently tap the concealed area with the blush using an eyeshadow brush. 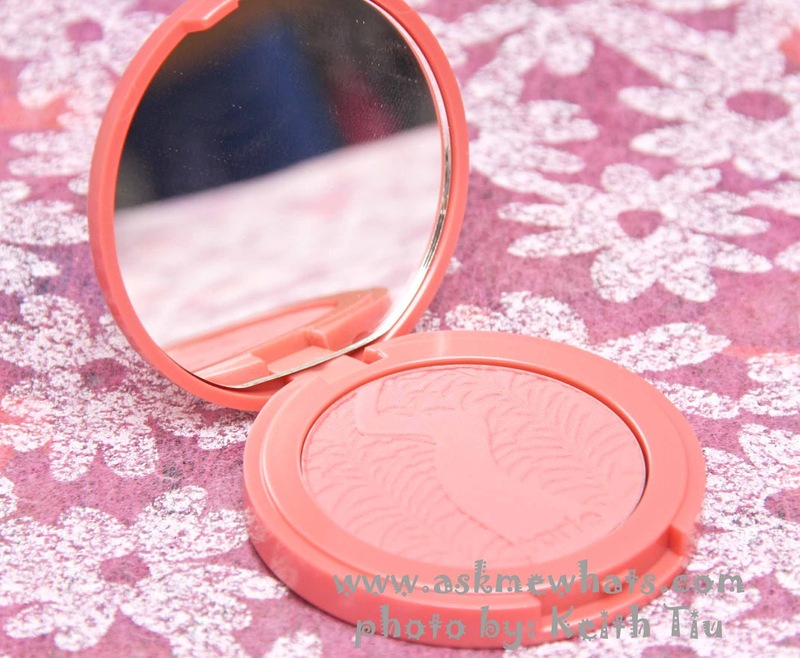 Anyone who likes to use a blush that lasts long and safe for sensitive skin. Available at Stuff in Style online site for Php1,200 (approx $27.90). but I can't help but see a hint of pink to it once applied on my NC20-25 skin. Blissful will look good on you! Oh Nikki dear! you're such an enabler.... I still have a lot of blushes and now I am thinking of an excuse to get this! I want a blush that lasts long... it is so pretty! 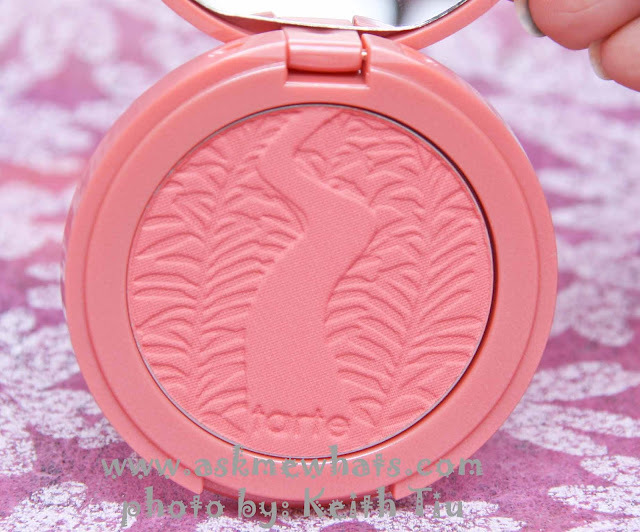 Grabe, when I saw her rave about Tarte Amazonian Blush I want to grab it from screen! I love Jen! I was watching her review on youtube when I saw yours posted on facebook. I'd love to try this blush. That's a beautiful blush and looks so natural on you! How I wish Tarte was available here too! Oh it's not available there too? Awww...it should be available worldwide! Their products seem to be good and exciting! Those blush colors are so pretty and good for natural makeup which I love to wear. Thanks for the review. By the way pls check my blog as well. wow so which one is your favorite among the 3? I'm thinking of getting more Tarte blushes! I've been eyeing this blush for a really long time. But I keep postponing on buying this since I find 1,200 to be too pricey for a blush. I'm glad to know that it's AWESOME! wow my heart stopped too when I read that you dropped it! I hear a big NOOOOOOO!!! Shucks, buti nothing happened! I use this a lot on my brides!